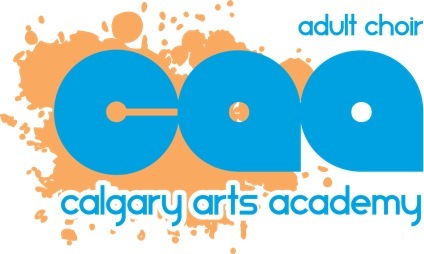 Calgary Arts Academy Adult Choir began in 1994 by the gathering of community members who simply loved to sing. We have had our home at various schools, currently at Calgary Arts Academy. We are the official ambassadors for Calgary Arts Academy, and speak of the school when we perform at seniors’ residences, and community and arts functions. Our members are also volunteers at the school, assisting with reading programs and school functions. For more information on the school, please visit www.caaschool.com.